When you need lawn fertilization in Emmaus, you need Green Turf. 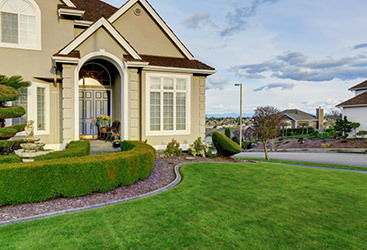 Most homeowners know how to keep their lawns in fairly good condition. But in some cases, watering and mowing just isn’t enough to keep the weeds at bay, or to keep the lawn looking green and healthy. For all of those times, you have Green Turf on your side. 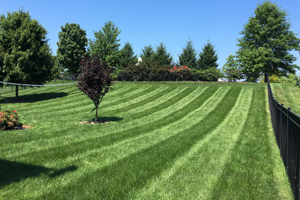 We are proud to be your premier lawn care professionals in Emmaus, and as such, our experienced team has what it takes to provide your lawn with the weed control and fertilization solutions it needs. With Green Turf on your side, you’ll have the most beautiful lawn in the neighborhood! As we mentioned above, simply watering and mowing your lawn may not produce the results you’re looking for. 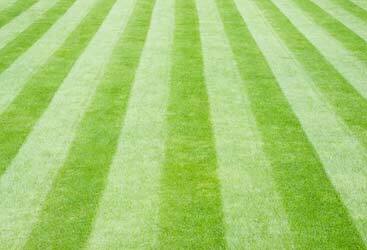 For a deep emerald lawn that is thick and lush, lawn fertilization is a needed service. Lawn fertilization adds soul to your soil! A stable and abundant lawn begins with the quality of the soil and fertilizer does just that. Over time, your lawn loses precious nutrients that help keep it lush and verdant, in addition to healthy. 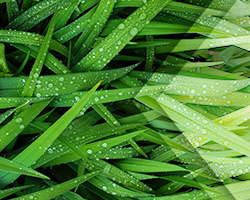 In order for your grass to survive you need to replenish and revitalize it. Just as the sun, water, and a good trim in vital, so is fertilizer! Keeping your grass green is a fine balance between all of its crucial things, and fertilizer is just as important. Keeping your soil rich it needs potassium, phosphorous, and nitrate — the holy trifecta of elements! Even when just one of these nutrients is missing, it can cause your grass to shrivel and produce brown spots. Fertilizer is a service Green Turf Care implements! As a part of our six-step process, we incorporate and highlight fertilizer season-wide. If you’re short on time or are afraid of killing your lawn, call in the lawn care experts! Spreading fertilizer is essential, and we can do it! Your lawn and will thank you! Fertilizer is fuel that makes your lawn happy, and as a result, it will grow fuller, thicker, and faster. It’s simple, feed your lawn quality nutrients and it will happily respond and thrive. Fertilizer will protect your investment! If you’re using a lawn care service, you undoubtedly care about your lawn and have made an investment to ensure its beauty. 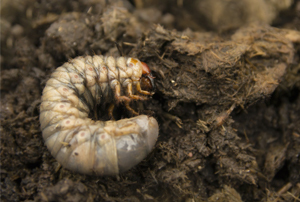 Protect your investment with fertilizer! A fertilization service is cost-effective and will protect your investment! Our six-step fertilization program is unlike any other fertilization solution. This process is completed over the course of the year. Starting in early spring, we’ll apply a slow-release fertilizer to your lawn that will help with the healthy cell development of your grass, as well as the prevention of crabgrass and broadleaf weeds. Once summer arrives, we’ll use a fertilizer designed to achieve that lovely, deep green look, while also preventing those nasty weeds from popping up. And in the late fall, we’ll use a winterizing fertilizer that will help your lawn to survive the colder winter months. 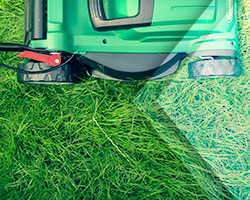 Contact us today for lawn fertilization and weed control in Emmaus. While watering and mowing your lawn are important steps, for all of those times when you need a little something extra to keep your lawn healthy and beautiful, turn to Green Turf. Earning your 100 percent satisfaction is always our priority, and we offer a one-of-a-kind, double money back guarantee with every service. Take the first step towards enjoying the most attractive lawn on the block with Green Turf.